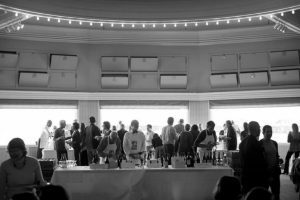 The year has flown by, and it’s already Easter Week 2012 – if you haven’t made plans for dining out this Sunday, here are some restaurants in Santa Cruz and San Jose offering special menus. I’ll post more in the next couple days. Ma Maison in Aptos is offering an Easter brunch buffet from 10am-2pm for $28 per person, prepared by the very talented Chef Lionel Le Morvan, a Paris native. For reservations call (831) 688-5566. The French Easter buffet includes French Toulouse sausage and sautéed onions, Easter Ham with port wine sauce, French garden frittata with Spring morel mushrooms, grilled butterflied leg of lamb, sauteed red potatoes with rosemary, and seasonal fruit salad. Santa Cruz restaurant Johnny’s Harborside is offering a special Easter brunch menu from 10am-3pm. Easter brunch specials include Dungeness crab and asparagus omelet ($13), a variety of Eggs Benedicts (crab cake or smoked salmon for $13, traditional for $11), and Strawberry Crepes ($9). These are served with choice of roasted potatoes, fruit, or polenta. Another selection of note is Maple Glazed Ham with Pineapple Relish ($20) with an artichoke plus herb scalloped potatoes. Call (831) 479-3430 for reservations. 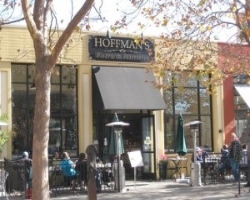 Hoffman’s, located in downtown Santa Cruz, is serving Easter Brunch from 8am-3pm and Easter Dinner from 3-9pm. The dinner includes a la carte options and a prix fixe three-course $40 menu which includes soup or salad, entrée choice, dessert, and a glass of champagne or sparkling cider. Entrees include Honey Glazed Ham Hocks ($23 a la carte) and Pan Roasted Spring Rack of Lamb with yogurt shallot sauce, braised lentils, and candied carrots ($27). Call (831) 420-0135 for reservations. The Cocoanut Grove is serving an Easter Brunch Buffet from 10am-2pm (reservations are accepted from 10am-12:30pm). The cost is $34.95 for adults, $12.95 for kids 4-12, and free for kids 3 and under. Brunch includes unlimited champagne or Martinelli’s Sparkling Cider. Selections include carved pork loin roulade stuffed with prosciutto, mushroom duxelle & spinach and served with Marsala pan jus, grilled cobia kingfish with lemon beurre blanc, scrambled eggs, french toast, smoked salmon, chicken enchiladas, and fresh seasonal fruit. Call (831) 423-2053 for reservations. Yankee Pier on Santana Row is offering a special brunch menu for Easter. Selections include Crab Eggs Benedict, shrimp omelettes, and Brioche French Toast. Call (408) 244-1244 for reservations.